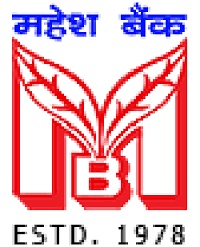 AP Mahesh Bank has published a Advertisement for below mentioned Posts 2016. Other details like age limit, educational qualification, selection process, application fee and how to apply are given below. Educational Qualification : Candidates should possess graduation with excellent academic track record in relevant field with relevant experience. Age Limit : Candidates age should be below 50 years for S.No-1, below 45 for S.No-2, 3 & below 55 for S.No-4. Age relaxation will be considered in deserving cases.